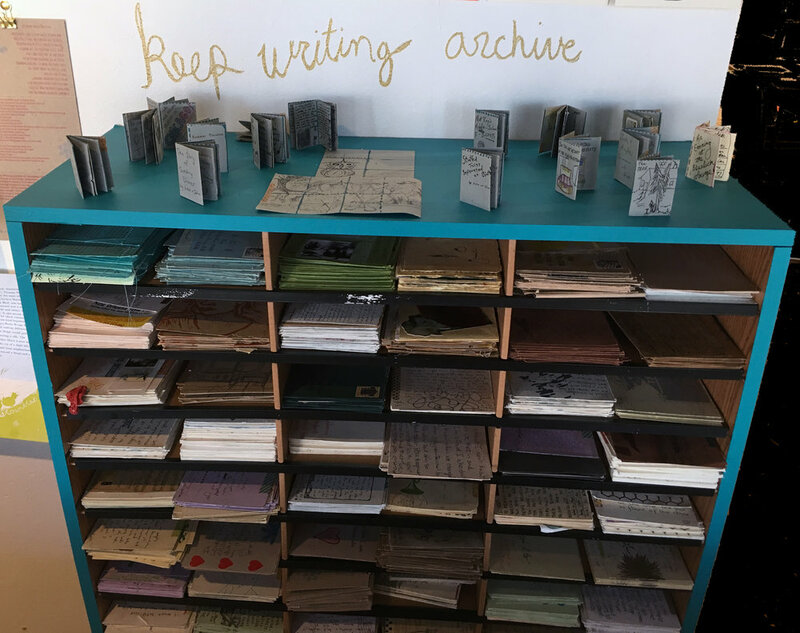 in november 2018, the keep writing postcard project celebrated 10 years of monthly letterpress postcards posing questions and requesting responses. 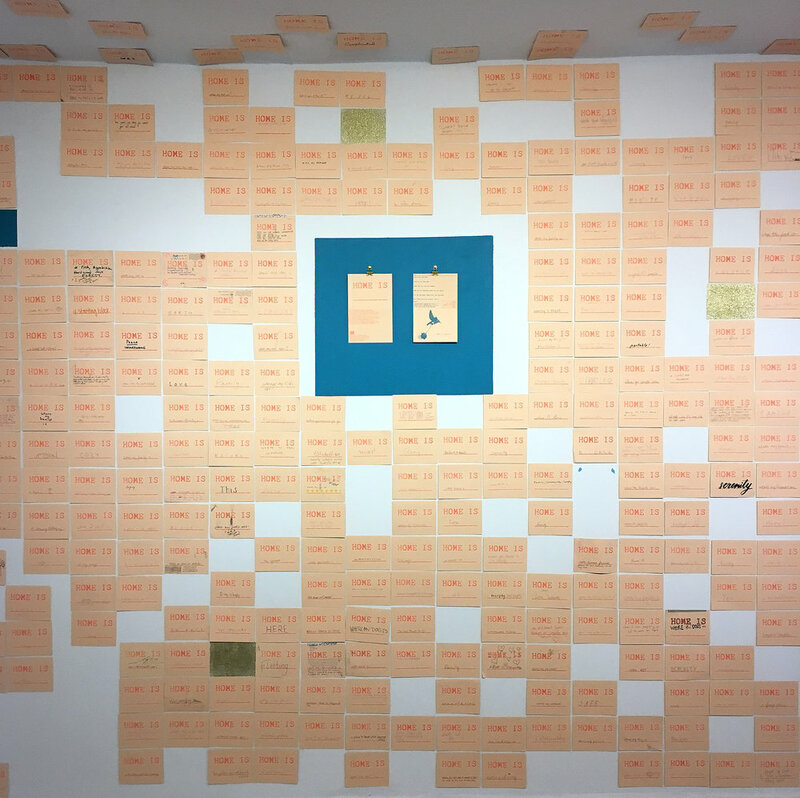 an exhibition at paper machine, new orleans, included over 1000 displayed responses from a special card sent july 2018, known as the summer census, also a display of collaborative cards and responses and an archive of nearly every card send and received, with instructions to dig in and read. letterpress printed in two colors, 5200 cards printed, over 1200 responses received. the information gathered informed “where you from #6” a self-published zine. 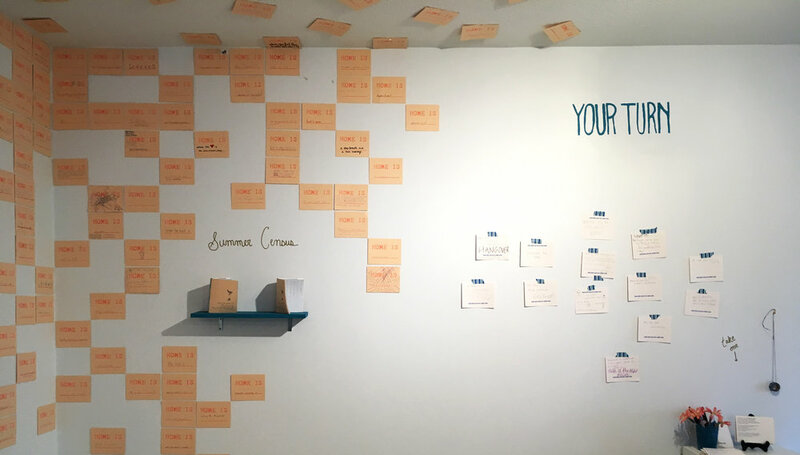 over 1200 responses were received for the keep writing summer census of 2018, asking people in the city of new orleans a few questions about home, home towns and how we define where we are from. information from the responses to the keep writing summer census was compiled in where you from #6, released during the show opening. 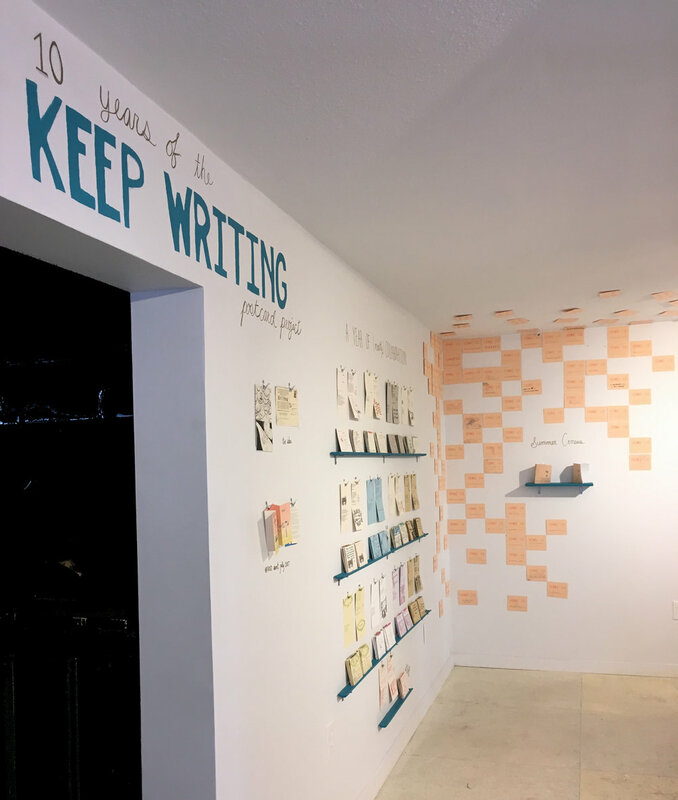 keep writing #111 asked subscribers and attendees of the show, what do you want to see in the next 10 years of the keep writing project. 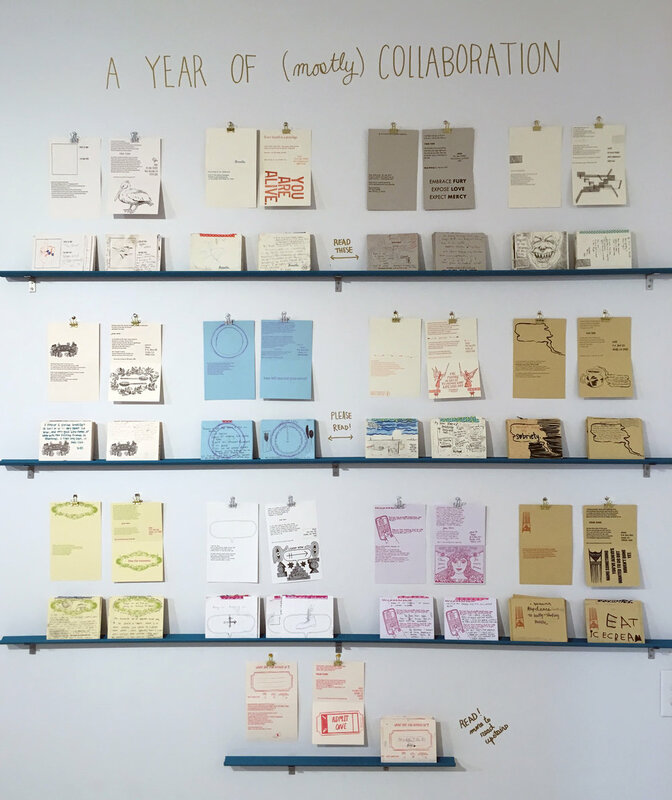 many keep writing mailings from 2017-2019 were collaborations with different artists and friends. shown are the original card and responses received. 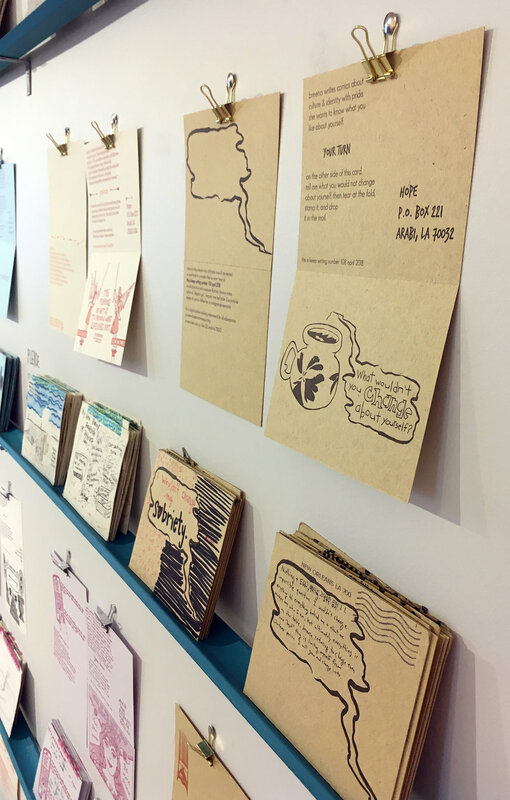 many keep writing mailings from 2017-2019 were collaborations with different artists and friends, such as latinx comic artist, breena nuñez who asked: what would you not change about yourself? here hope talks about one of the collaborative cards with visitors and longtime subscribers.